Watch this excerpt from a February 5, 2009 Wall Street Journal video interview with GE Chairman and CEO Jeff Immelt by Allan Murray, Online Executive Editor. Please watch the whole thing but pay particular attention to the first few minutes where Immelt discusses GE’s dividend. Leading a public company is tricky business, especially for a company of GE’s stature. There’s no doubt about it. Add the ever-changing Global Financial Crisis and things become even more challenging. However, that’s not what this post is about. How we say things is often just as important as what we say. This video offers an effective example about how leaders, even those at the highest levels, communicate without actually saying anything. 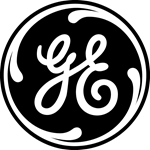 Tagged with communication, General Electric, Jeffrey R. Immelt, Wall Street Journal.